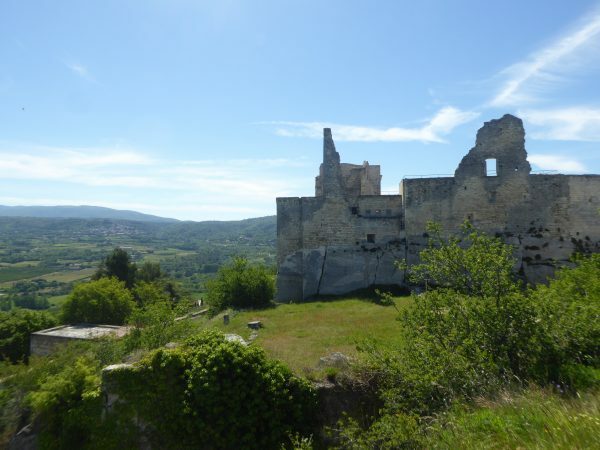 The chateau of the Marquis de Sade, at the top of the village of Lacoste. 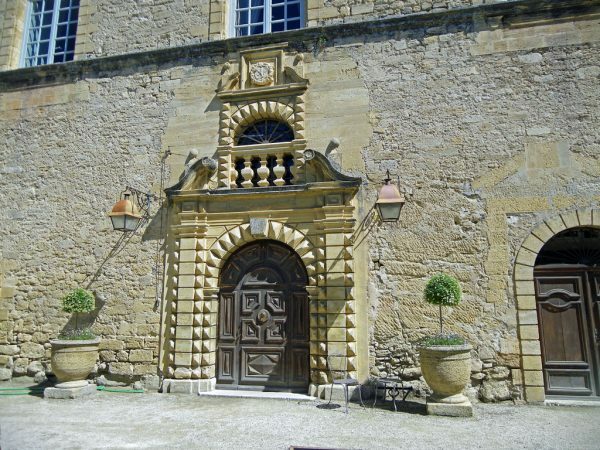 The chateau is now owned by French designer Pierre Cardin. 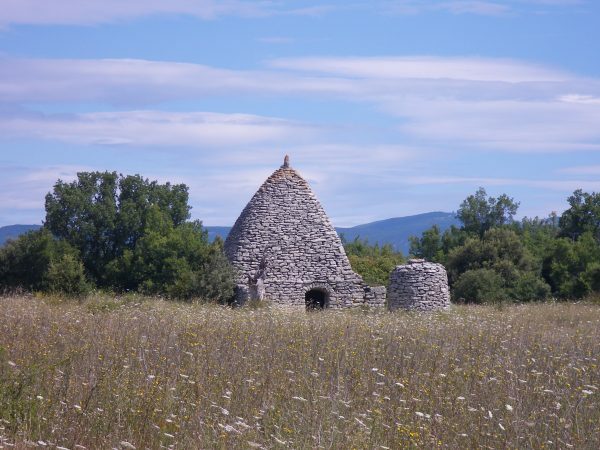 The former boulangerie near the top of the village of Lacoste. 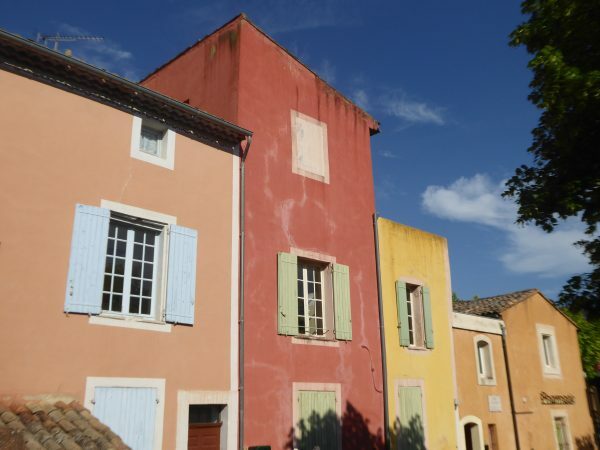 It's now the library of the Savannah School of Art and Design, an American art school that now owns much of the village. 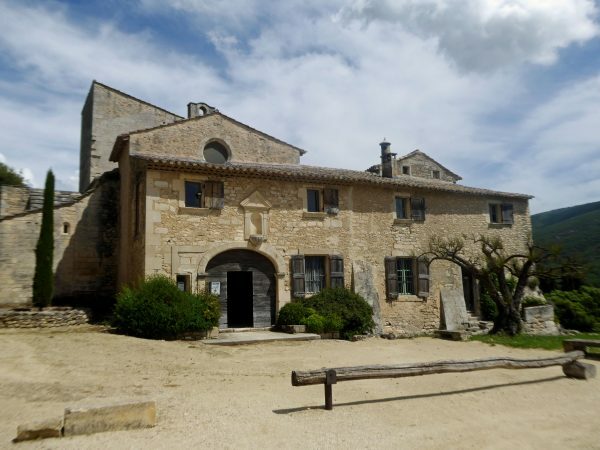 The isolated Abbaye Saint-Hilaire (near Lacoste), a former Carmelite monastery built in the 13th century. 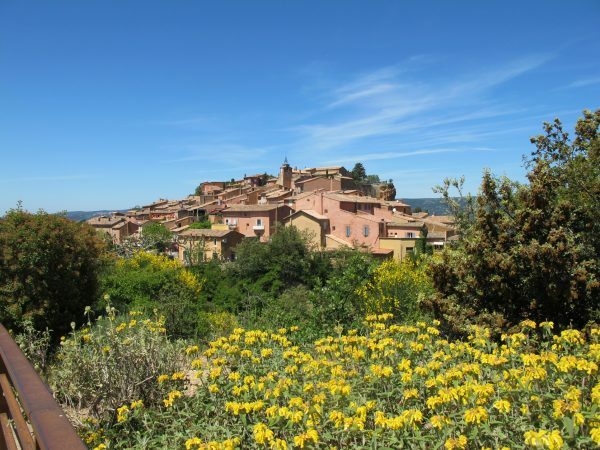 The colorful Luberon village of Roussillon, built in the middle of one of the largest ochre deposits in the world. 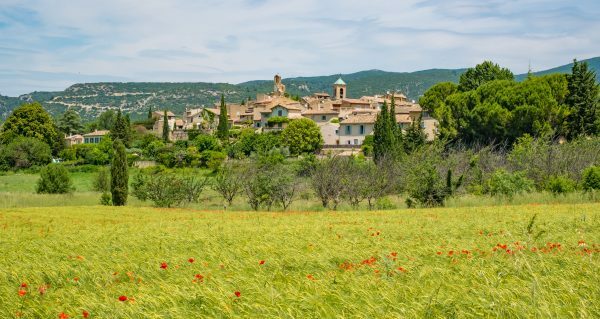 The village is designated one of France's "most beautiful villages." 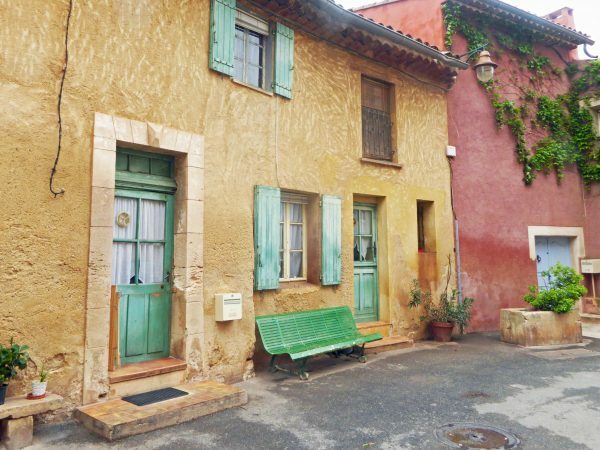 More colorful houses in the village of Roussillon. 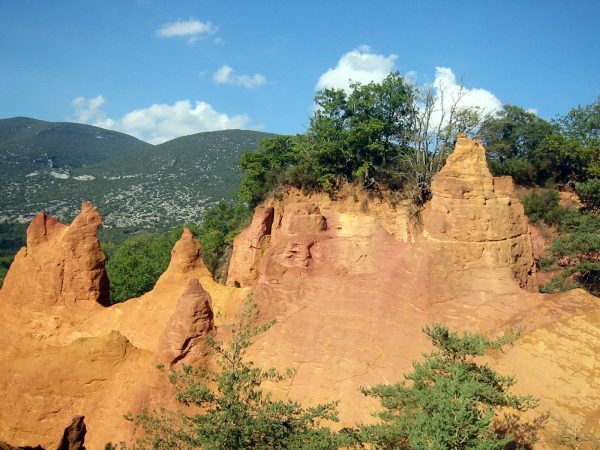 In the "Sentier des Ochres," a walking trail through an area where ochre was once mined. 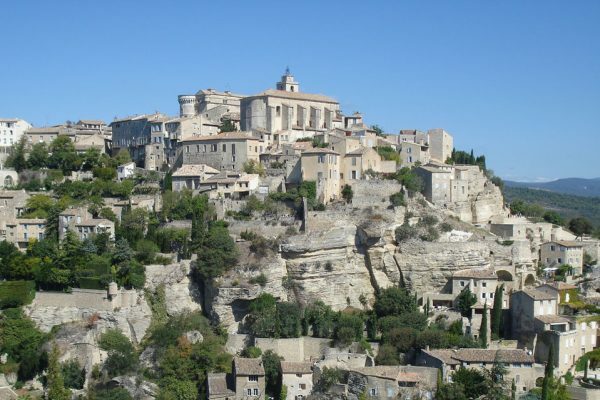 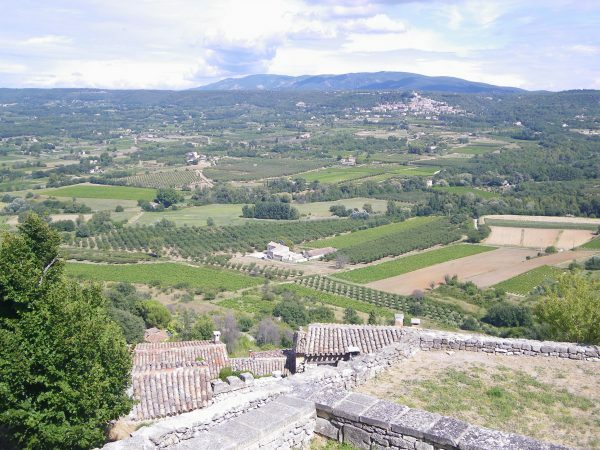 The incredible view of Gordes, another of France's "most beautiful villages." 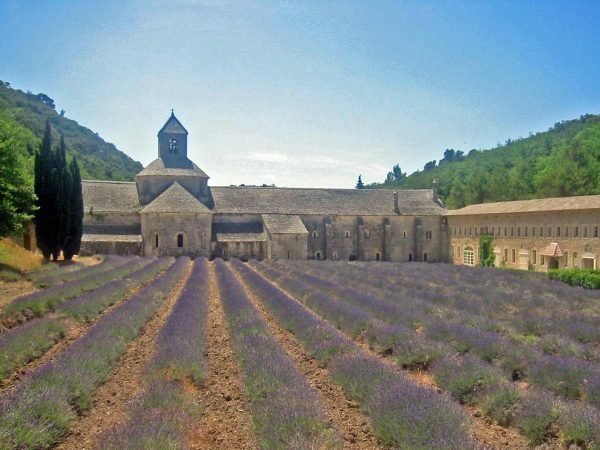 The Abbaye Notre-Dame de Sénanque, a 12th century Cistercian abbey below the village of Gordes. 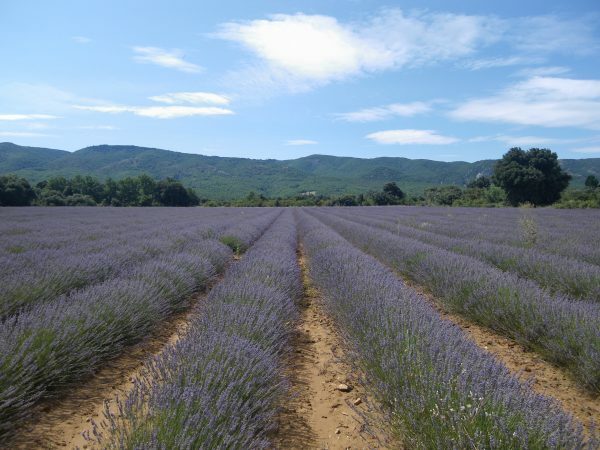 The monks grow, harvest and sell the lavender. 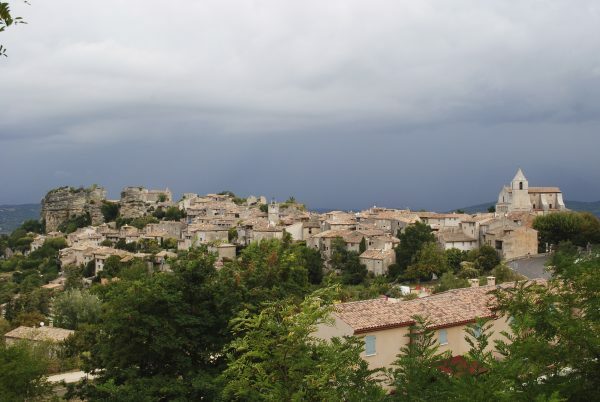 The village of Saignon on a cloudy day. 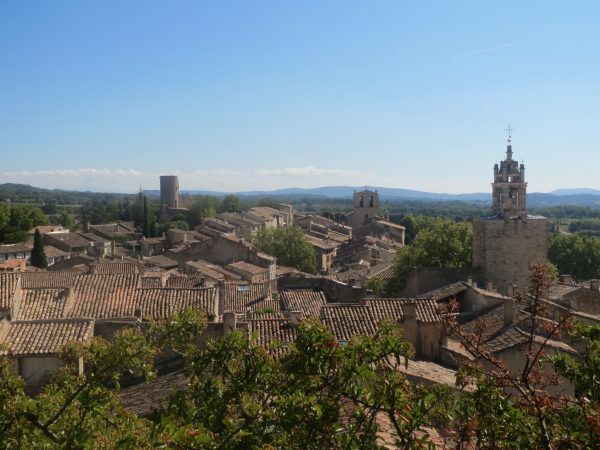 The village sits above the town of Apt and was the watchtower for Apt. 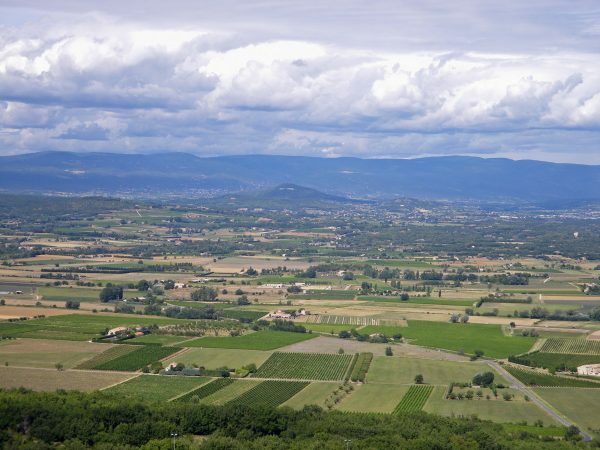 There's an amazing view of the valley from the big rock on the left. 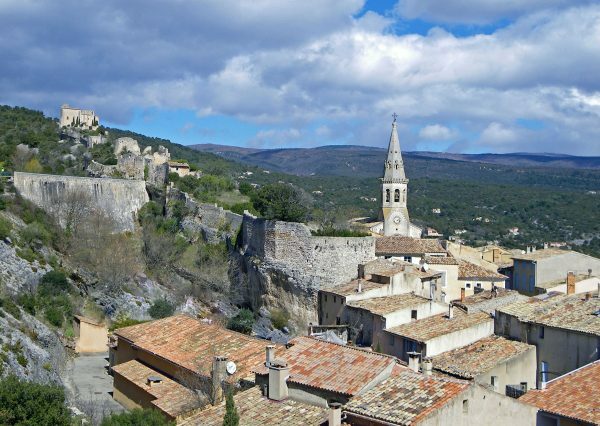 Saint-Saturnin-les-Apt, topped by castle ruins and an ancient chapel. 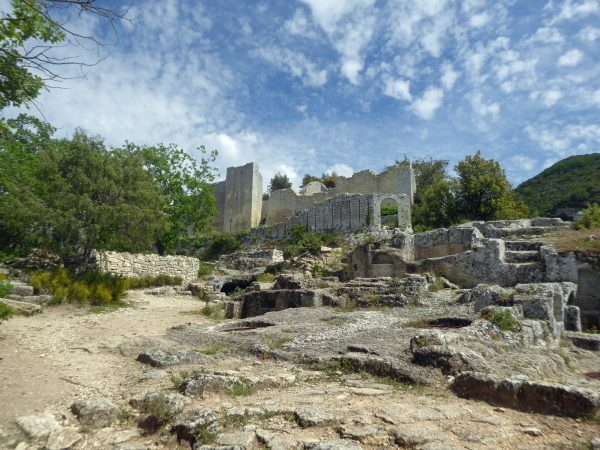 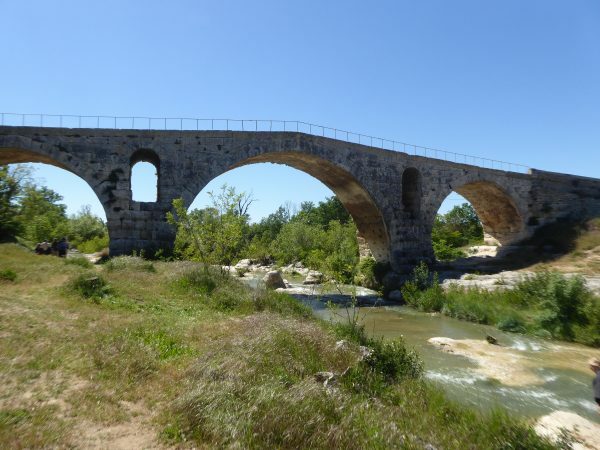 Ancient ruins of a medieval fortress and settlement, a hike you'll never forget. 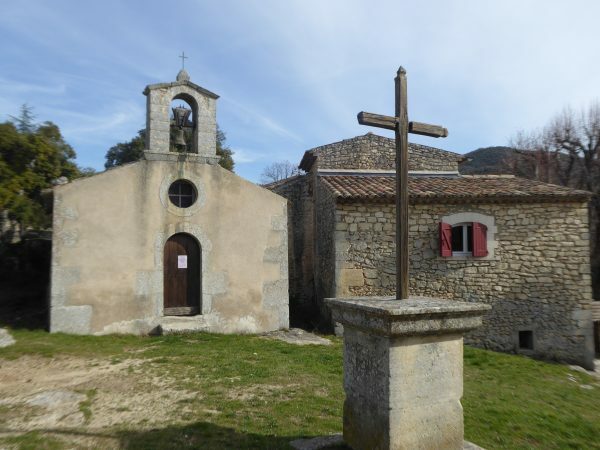 Tiny chapel in the village of Sivergues, population 40. 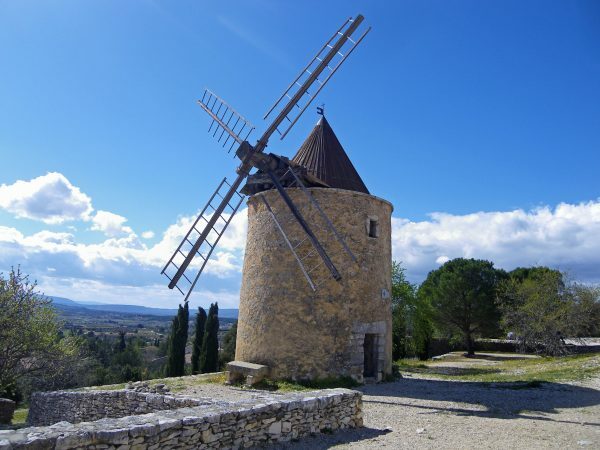 This is the smallest and highest village in the Luberon. 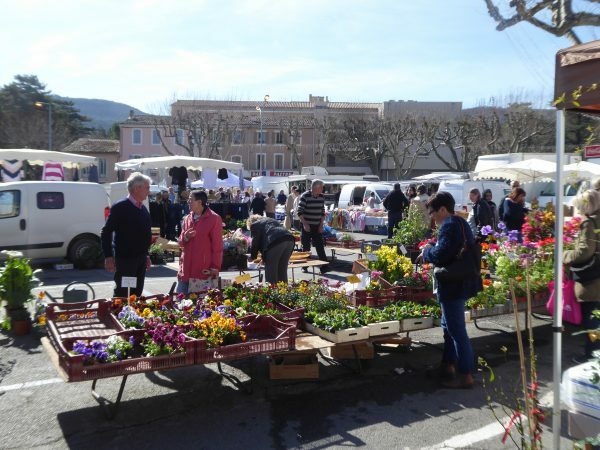 Just a small part of the busy Saturday morning market in the town of Apt. 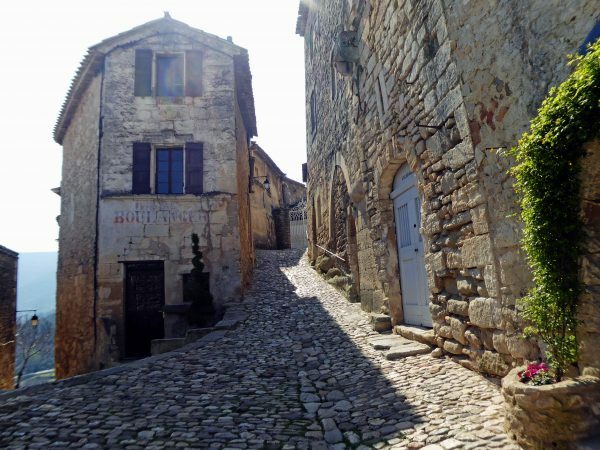 A tiny street below the ruined village of Oppede-le-Vieux. 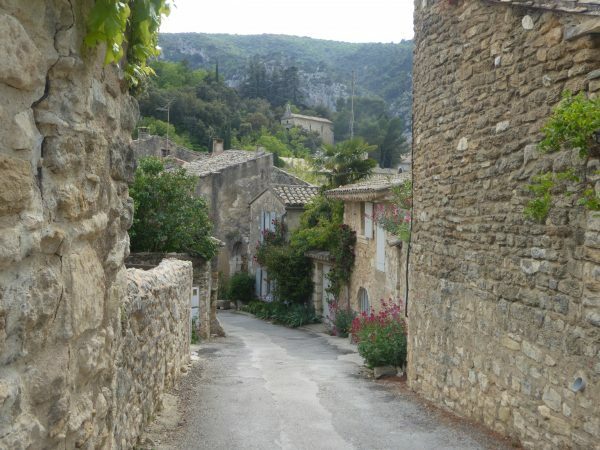 The village of Lourmarin, on the south side of the Luberon. 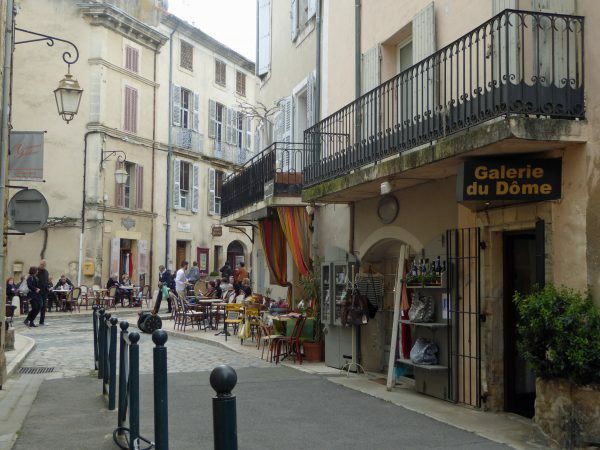 In the busy center of Lourmarin: several cafes and lots of shops. 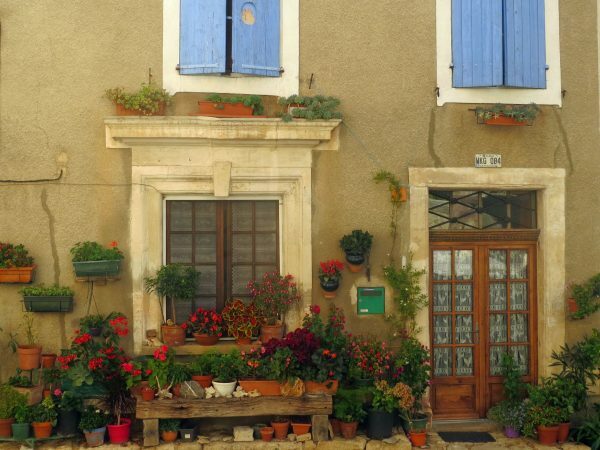 A good place for people-watching! 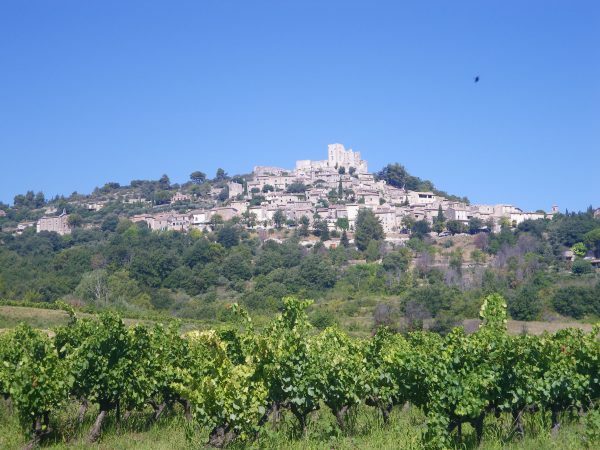 On the south side of the Luberon, the Chateau d'Ansouis. 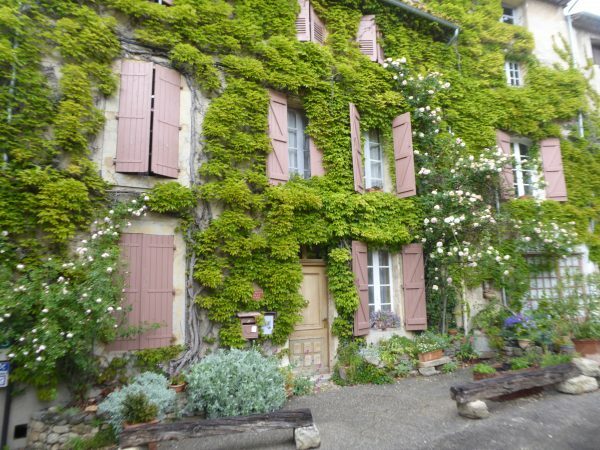 Originally built as a fortress in the 12th century, it became a grand palace in the 17th century. 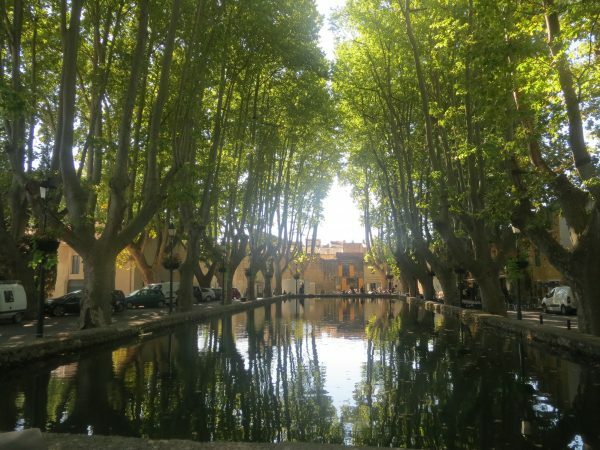 Cucuron is another village on the south side of the Luberon, famous for this long pond on its main square.